Pixie Hollow Rabbitry and Farm is proud to present our stallion. 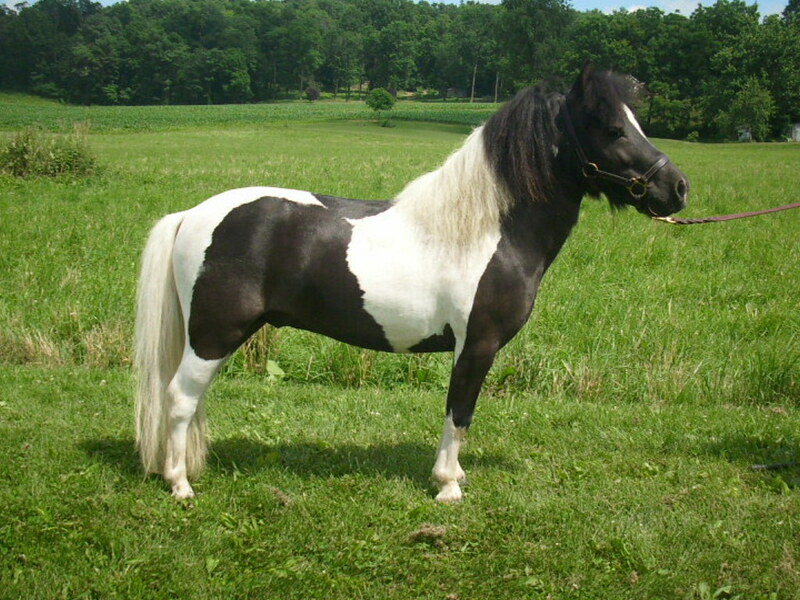 Domino has beauty, color, temperament and small size. He is extremely well mannered and is full of energy. He is a Hobby Horses Silver Showboy grandson! He is very willing to please and is easy to handle. Domino will be a key part of our equine endeavors for the years to come.With his great traits and versatility, his offspring will be exceptional in whatever equine sports they pursue. Our goal is to produce quality Miniature Horses with unlimited potential.